CAP is a system of subsidies and support programmes for agriculture operated by the European Union. It combines direct payments to farmers together with price and market supports. CAP funding is likely to be at the centre of debate in Northern Ireland ahead of the UK referendum on EU membership on June 23rd as over 70% of all European money coming into Northern Ireland typically goes to the Department of Agricultural and Rural Development (DARD). The department has also confirmed that in the last 10 years (2005-2014) CAP Single Farm Payment alone – which is the main agricultural subsidy scheme for farmers and one of the CAP funding schemes - totalled £2.5billion in Northern Ireland. Direct EU payments to farmers represent 87% of annual farm income. Agriculture Minister Michelle O’Neill said that a vote to leave the EU would be “a huge gamble” and said there are no promises of replacement funds being provided by the UK Treasury. She said: "It is my belief that the Treasury would not be willing to see a continuation of support for farmers at current levels, given they have a long held view that this type of funding does not represent value for money." The Ulster Farmers' Union president Ian Marshall said: "As of now, no compelling argument has been made that Northern Ireland agriculture would be better off outside the EU." The DUP is the lead voice of the Brexit campaign in Northern Ireland. Northern Ireland Secretary Theresa Villiers has also joined those supporting an exit from the EU, arguing that money clawed back from Europe would be used to offset any losses in EU funding. Sinn Fein, the Ulster Unionists, the SDLP and Alliance have all said they want the UK to remain. The CAP sums paid out to individuals and groups in 2013/14 ranged from £1.55 received by one unidentified claimant in Larne to almost £2million. These payments include direct funding, which is mainly a subsidy for farmers, and rural development grants which are also open to community groups. Some Rural Development Programme schemes are co-funded which means they include UK and EU funds. £266.3million was paid out in single farm payments and £83.1million in rural development funding. The largest single sum of almost £2million went to Countryside Services Limited for the farm modernisation scheme. Beneficiaries based in the Enniskillen area received the largest amount of CAP funding - £38.9million in total. This was followed by the Omagh area (£33.3million) and then the Ballymena area (£27.3million). See map below. 36,707 beneficiaries received single farm payments totalling £266.3million. The individual payments ranged from £13.36 to £322,182. 327 beneficiaries with an address outside of Northern Ireland received £1.4million in total. This will include people who have been left land in wills and owners who have emigrated. There are addresses listed in Wales, England, Scotland, the Republic of Ireland, Australia, Canada and the USA. Other funding categories in 2013/14 also totalled millions of pounds. Over £23million was received by individuals for areas with ‘handicaps other than mountains’, £28.2million of funding was provided for ‘Implementing local development strategies. Quality of life/diversification’ and £18.4million was paid out in ‘Agri-environment payment’. We also looked at the CAP funding awarded to community groups for the benefit of their local area. The impact of a potential Brexit on the environment, energy, CAP, fisheries policy and agri-food is due to be discussed at an event at the Seago Hotel in Craigavon today organised by EU Debate NI. A breakdown of the payments distributed in 2014/15 is due to be released in May. The UK government publishes details of all direct payments and rural development funds paid out under CAP. The most recent information to be published relates to all CAP scheme payments made to beneficiaries during the period 16th October 2013 to 15th October 2014. Countryside Services Limited was awarded almost £2m across four different funding schemes for the farm modernisation programme. This included development of new products, processes and technologies (£372,349), modernisation of agricultural holdings (£113,558), technical assistance (£696,130) and vocational training and information actions (£795,065). Countryside Services provides information, commercial and professional services to the farming and rural community in Northern Ireland and is a wholly owned commercially independent subsidiary of the Ulster Farmers' Union. Six of the former legacy councils received the next highest payments, mainly in rural development funds. The councils were Cookstown, Fermanagh, Lisburn, Ballymena, Ballymoney and Coleraine. Up until last year, landowners could claim the single farm payment even if they weren’t active farmers. They just had to keep their land in good environmental and agricultural condition. The rules changed last year and single farm payment claimants now need to be active farmers. Where land is rented, the direct support payment will now generally go to the person who is actually farming the land. The names of 9,364 beneficiaries who received less than £1,045 in total subsidy during the year is not provided. Details of the amounts paid are included, but with the name removed. The CAP payments are extremely important to Northern Ireland’s farmers. A DARD report examining farm incomes in 2013/14 Northern Ireland stated that CAP direct payments to farmers represented 87% of the value of average farm business income across all farm types. The average farm business income with direct payments removed was £3,780 per farm. However, some farm types (including cereal and cattle and sheep in Less Favoured Areas) would actually generate losses without the payments. The 2015 Agricultural Census for Northern Ireland provides important information on the current scale of the farming industry here. It tells us that the agricultural labour force totalled 48,000 people when the survey was carried out in June last year.This includes farmers, their spouses and other workers. There were 24,907 farms across Northern Ireland – up from 24,228 in 2014. The census said that this increase was linked to changes in CAP support arrangements and stressed that the number of farms has been in long-term decline. Tyrone was the county with the most farms (6,015), followed by Co Down (4,816) and Co Antrim (4,385). Almost one million hectares was being farmed in total. Charlie Weir is a dairy farmer in Waringstown in Co Down. He is also a member of the Fair Price Farming NI group. He said: “I think because of the way the British government is treating the farmers at the moment, we have to stay in Europe. “Last year in Northern Ireland £235million was paid out in single farm payments but farmers only made £180million. Everyone blames the supermarkets but I think the whole supply chain needs to be looked at. Just getting subsidies to stay in farming is not enough. Ulster Farmers’ Union president Ian Marshall said: “The UFU recognises the importance of this debate. The Common Agricultural Policy is crucial for farm incomes and allows consumers to enjoy low food prices. It accounts for over 40% of EU spending and is one of its few 'common' policies. “It has always been UFU policy to steer clear on mainstream political issues so our official position remains that we will not be advising our members how they should vote in this referendum. “However, as of now, no compelling argument has been made that Northern Ireland agriculture would be better off outside the EU. This is a challenge to which those in favour of Brexit need to respond. It’s not just farmers who benefit from CAP funding. ARC Healthy Living Centre, which was established in 2000, is a Fermanagh-based health and wellbeing charity and a social enterprise. Its aim is to help the local community’s most vulnerable and rurally isolated people lead healthier and happier lives. In 2013/14 the centre received £573,692 in rural development funding to build a centre in Irvinestown to provide services and health promotion activities for the local area. The facility was part funded by South West Action for Rural Development and also received financial support from the Northern Ireland Housing Executive and the Public Health Agency for Northern Ireland. 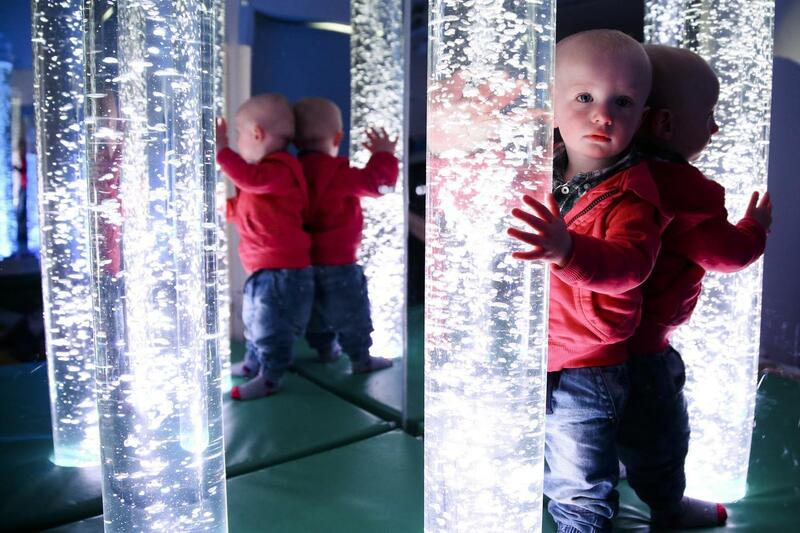 The building houses a range of community led health and wellbeing initiatives, including Cherish Sure Start and a sensory room used by children with disabilities. ARC was awarded title of NI Health & Social Care Social Enterprise of the Year in 2015. Chief executive officer Jenny Irvine said: “The Rural Development Programme-funded project enabled us to have our child-based and adult services co-located on the one site but in different buildings. “ARC has become a significant employer, now employing over 70 staff and delivering services across Fermanagh and south Tyrone. Another beneficiary was the Railway Preservation Society of Ireland (RPSI) which received £640,317 in Rural Development Programme funding in 2013/14. The RPSI has used this and other European funding distributed via lead funder GROW (Generating Rural Opportunities Within) South Antrim to upgrade the railway facilities at its headquarters in Whitehead in Co Antrim. This included building a new period-style station building. EU funding has also led to the restoration of two historic steam locomotives, the development of an App and phase one extensions to storage sheds that the society uses for its heritage locomotives and carriages. Denis Grimshaw, RPSI chairman, said: "The station building is used as a destination for passengers travelling on our popular Easter, Halloween and Santa trains from Belfast. 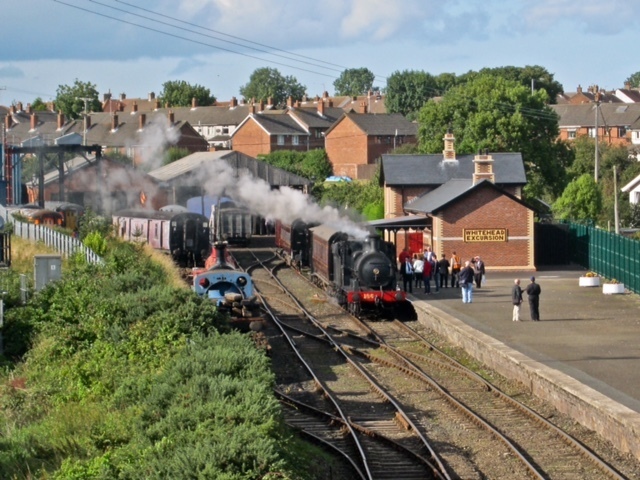 It is also used for open days during the year in conjunction with Whitehead Community Association and as a venue for our Steam and Jazz specials in June. “By attracting visitors and bringing passengers to Whitehead, we are helping to boost the local economy and also putting Whitehead on the map. The locomotive restoration projects helped sustain the employment of three full-time staff in our workshops. Aidan Campbell is policy and public affairs officer at the Rural Community Network. He said: “CAP funding is important to rural communities and especially to farmers as many farm businesses need the subsidy to remain viable. Some of that money is then recycled into other rural businesses as farmers spend it on inputs into their farm. “If I was a farmer in receipt of a CAP payment essential to the survival of my farm I’d have to be very Eurosceptic to vote to leave. Without knowing what any exit deal would entail, it’s difficult to calculate how much better or worse off financially Northern Ireland would be if the UK left the EU. Opinion on the economics is divided. 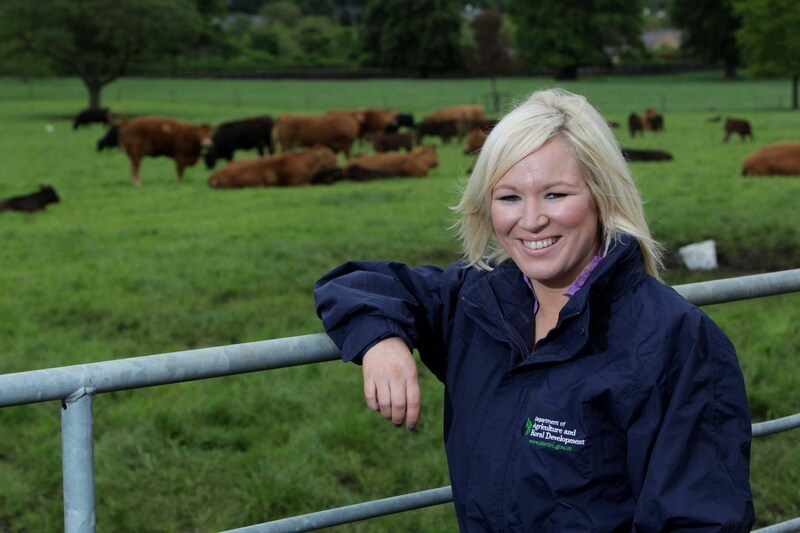 Agriculture Minister Michelle O’Neill said in January that a European exit would be “disastrous” for agriculture and rural communities and that she feared it could leave most of our farmers in significant financial difficulty. And last month, Ulster Farmers’ Union deputy president Ivor Ferguson warned of a large increase in food prices if the UK left the EU. Open University economist Leslie Budd was asked to carry out research for the Assembly's enterprise committee and concluded that leaving the EU could cost the Northern Ireland economy almost £1bn a year. He said that transaction costs for cross border trade could "rise significantly" and "act as a disincentive" to economic co-operation. He added that Northern Ireland would also become a less attractive location for emerging market companies which are looking for an entry route to EU markets. However, a Cambridge academic told a Westminster inquiry last month that a UK exit from the European Union would not have much effect on the Northern Ireland economy. Economist Dr Graham Gudgin was giving evidence to the Northern Ireland Affairs Committee. He said studies carried out so far suggest the impacts on the UK economy would be in the range of plus or minus 2% of GDP and he described that impact as "pretty small". Dr Gudgin said the UK would have £10bn in net savings which is currently paid into the EU. Nigel Smyth, Northern Ireland director of the business lobbying organisation The CBI, has called for an informed debate. Mr Smyth said: “It’s clear that the majority – although not all - of our member companies wish to remain within a reformed EU. “The single market gives access to over 500 million customers with common rules making it easier to do business across Europe. “From a Northern Ireland perspective, the importance of trade, with over 57% of our exports going to the EU, the size of our large agri-food sector, and our dependence on attracting international investment are critical issues which must be considered. “Using HM Treasury figures, we estimate the net costs in Northern Ireland are around £83 per person per annum (after rebates and receipts).However, an analysis of the comprehensive literature on the benefits and value of EU membership are estimated at £1,225 per person per annum. “Northern Ireland also secures a large share of European programmes delivering an average of £144million per annum in the period 2014 to 2020, and in 2015, Northern Ireland secured over £236million in agriculture support. Agriculture Minister Michelle O'Neill. Picture by DARD. Agriculture Minister Michelle O’Neill said the figures Detail Data is reporting on today show the importance of EU funding to farmers and that a vote to leave the EU would represent “a huge gamble”. “Without direct payments aggregate farming income for the industry as a whole would have been negative in 2015. The figures also show that this funding benefits rural communities across the north,” she said. The Minister said that she has concluded that leaving the EU is not in the interest of farmers. She said: “A full scale analysis of the impacts of Brexit is not feasible given that there are so many unknowns about the international trading relationships and agricultural, budgetary and regulatory policies that would exist post-Brexit. However, it is clear that the best way to secure our current trading arrangements with the rest of the EU is to stay a member of the EU. “There is no guarantee that we could replicate our current trade arrangements with the EU post-Brexit given that the discussions around agricultural products are always the most difficult in any trade negotiation. We asked the Minister what support DARD would provide to farmers if the UK was to leave the EU, if there is a plan in place and if officials are currently working on this potential scenario. The Minister replied: “I do believe the Assembly will always try to do its best for farmers. However, there are simply insufficient funds in the block grant to permit a replacement of current levels of EU funding. More money would have to be provided by the Treasury. “No promises have been made that this money would be forthcoming and it is my belief that the Treasury would not be willing to see a continuation of support for farmers at current levels, given they have a long held view that this type of funding does not represent value for money. “I think it is very unlikely that the British Government will engage in contingency planning on Brexit prior to the EU membership referendum. Nevertheless, I have written to Liz Truss MP to seek a meeting on Brexit and any contingency planning that may take place. I have also asked for any analysis that Defra may have carried out on Brexit and potential impacts. The Minister said that if there was a vote in favour of Brexit, the terms of an exit package would have to be negotiated. The EU referendum takes place on Thursday June 23rd. Click here to download the data we are reporting on today. 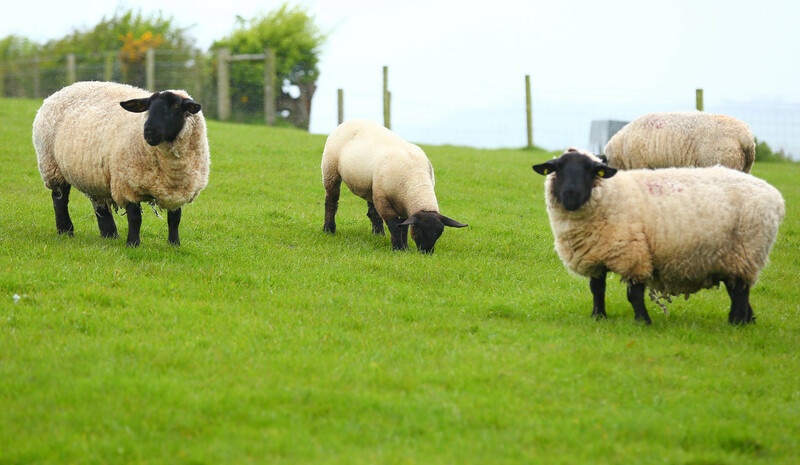 The department has also confirmed that in the last 10 years (2005-2014) CAP Single Farm Payment alone – which is the main agricultural subsidy scheme for farmers and one of the CAP funding schemes - totalled £2.5billion in Northern Ireland. Direct EU payments to farmers represent 87% of annual farm income here. Agriculture Minister Michelle O’Neill said that a vote to leave the EU would be “a huge gamble” and stressed there are no promises of replacement funds being provided by the UK Treasury. The DUP is the only major Northern Ireland political party which supports 'Brexit' - a British exit from the EU. Sinn Fein, the Ulster Unionists, the SDLP and Alliance have all said they want the UK to remain. These payments include direct funding, which is mainly a subsidy for farmers, and rural development grants which are also open to community groups. Some Rural Development Programme schemes are co-funded which means they include national and EU funds. Beneficiaries based in the Enniskillen area received the largest amount of CAP funding - £38.9million in total. This was followed by Omagh (£33.3million) and then Ballymena (£27.3million). The top ten town/city areas each received over £10million in EU payments – Enniskillen, Omagh, Ballymena, Newry, Dungannon, Armagh, Derry/Londonderry, Craigavon, Coleraine and Magherafelt. The majority of these towns/cities are west of the River Bann which is an area that historically struggles to attract as much funding as the east. Today, we also look at the CAP funding awarded to community groups for the benefit of their local area.